HArm is a large job fair arranged by Chalmers University of Technology that gives students the possibility to meet some of the leading companies in the region, to get inspired and learn more about their future career opportunities. HArm focuses on students studying Data Engineering, Economy and Production Technology, Electrical Engineering, Industrial Design, Mechanical Engineering, and Mechatronic Engineering. Sigma will be, of course, one of the companies represented at HArm. Do you want to transform the automotive industry and work with the latest technologies? Come and join us for an after-work to learn more about the automotive industry and what it is like to start your career as a consultant at Sigma Technology Development in Gothenburg. The event is for you living and studying in Halmstad graduating spring 2019 or within a year. On the next day, Saturday the 9th, you will get a chance to meet us for an interview. Do you study Electronics, Computer Sciences, or Mechatronics? Sign up by contacting Kim Helgius at kim.helgius@sigmatechnology.se! 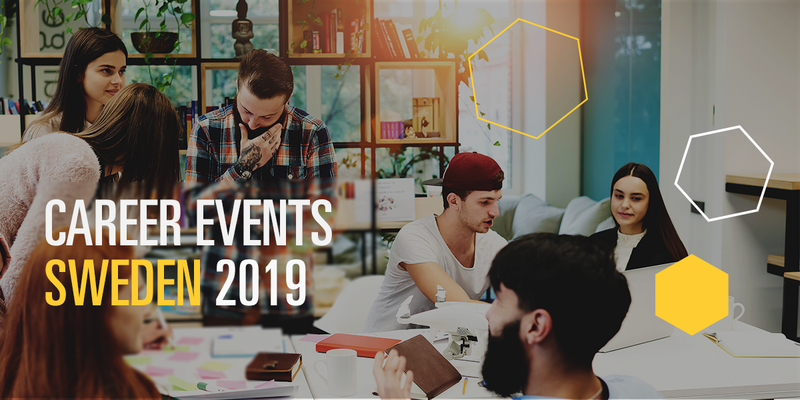 LARM is a student career event arranged for technology students that gives a perfect opportunity to meet and connect with representatives from a wide range of companies. This gives a chance to find inspiration and job ideas for the future. Come by our Sigma booth on February 12! GÖSTA is an IT job fair that allows students to network with their future employers. If you are looking for a new job challenge, come and meet us on February 13! Are you a woman working in IT or studying technology? Let’s gather for an evening filled with inspiration for women in technology. We will listen to several female networks sharing their insights and plans with us. We will also meet heroes behind an exciting life science startup in Gothenburg that was named to be one of 33 Companies that Redefine the Technical Map in Sweden (33-listan) by NyTeknik and Affräsvärlden. During the evening, you will get to try some of the latest technologies and network with other women in IT. The registration opens shortly. Stay tuned for more details at sigmatechnology.se! Blekinge Arbetsmarknadsdag, BAM, is a student career event that gives students a chance to meet exhibitors from all industries closely related to the educational curriculum of BTH, Blekinge Tekniska Högskola. We at Sigma are also represented at BAM and would love to hear more about your career plans! Amår job fair at Linnaeus University, Växjö, gives a good opportunity for students to meet up with employers. Come and mingle with us there. Ingenjörsjobb hosts the Female Engineer Network (FEN), Meetup to inspire and motivate women working in the industry. Sigma is one of the sponsors, and we will be happy to meet you there! Would you like to get in touch with us even before the student career event or have you missed to come by? Contact Sigma Technology office in your city. We are looking forward to meeting you! Stay tuned for more updates regarding our news and events on Facebook and LinkedIn.